With Mario Badescu’s products becoming a household name over the past few years, rose water has been all the rage! The beauty community was essential in enabling rose water’s mainstream takeover. Beauty influencers just can’t stop boasting about rose water! This potion has been appreciated for centuries due to its purported anti-aging effects. It’s known to be anti-inflammatory, very hydrating, and helpful in maintaining your skin’s natural pH balance. It seems like it has all the makings of a miracle product. But be careful, that’s not always the case! Rose waters on the market often have harmful chemicals and preservatives included in their ingredients. While these companies may argue that these secondary ingredients are included to keep the water fresh, there are ways to make your own fresh rose water, and skip the preservatives. If you want to reap the benefits without the undesirable additives, follow these steps! Before you start, you’ll want to gather all of the ingredients. You’ll need at least four long-stem roses. They can be hand picked or purchased at a store — it doesn’t matter! You’ll need four cups of purified water. The last ingredient is optional. I add a tablespoon of Florida Water, a cologne that often acts as a holy water in many Latinx households. It does help preserve the water, but you can skip this step if you want to go completely natural! 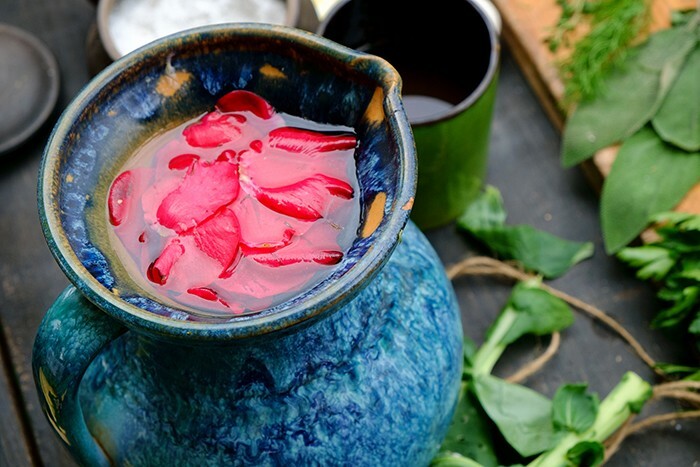 You’ll also need a pot or kettle to boil the water in, another pot to contain the rose petals and to which you’ll add the boiling water, a strainer, and a jar in which to store your rose water! First, you’ll want to start boiling the water. This could take different amounts of time depending on what process you use. Once the water is on, you’ll want to start plucking your roses. Gently remove each rose petal from the stem and place them in a pot or large glass bowl. 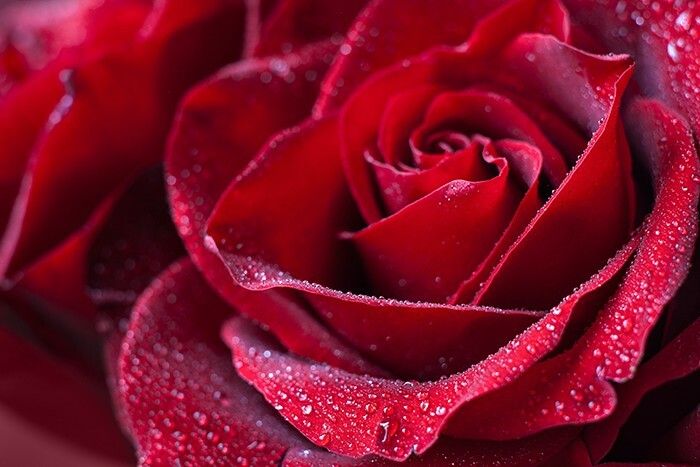 Once your water has reached its boiling point, pour it directly into the pot or bowl that contains your rose petals. Take a long spoon (sometimes I use a rose stem) and stir the water. Keep stirring until the water takes on a deep reddish-purple hue. Once it’s been mixed thoroughly, allow it to steep overnight. Even if you’re in a rush, you’ll want to let the petals steep at least six hours. The reason you want to give it ample time to steep is because it allows all of the natural properties of the roses to really mix with the water. If you remove the roses too soon, you’ll most likely have done nothing but dye your water a different color! I know it’s an anxious wait, but be patient. When your water has had enough time to sit, strain it. Take another pot or bowl and strain the rose petals from the water. Then, move your finished rose water into your jar or spray bottle of choice! To top it off, if you like, add a tablespoon of Florida Water and mix well. Again, this step is completely optional. Rose water is far more than just a trend. Communities have been using it for centuries, swearing by its miracle-like properties. When you have the opportunity to make your own, you’re putting love and intention behind something that has spiritual and health benefits. And that is not something you can buy in Sephora. If you're in a DIY kind of mood, and want to try your hand at a whipped butter, check out this article.